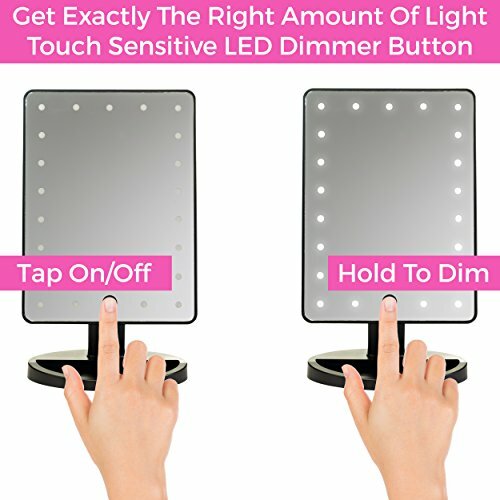 Easy to use on/off touch button doubles as a touch screen dimmer switch when you press and hold your finger on the small circle to achieve the perfect amount of light to touch up your makeup. The 10.7 inch High Definition Vanity Mirror will show you every detail you want to see and every detail you want to hide from being seen! 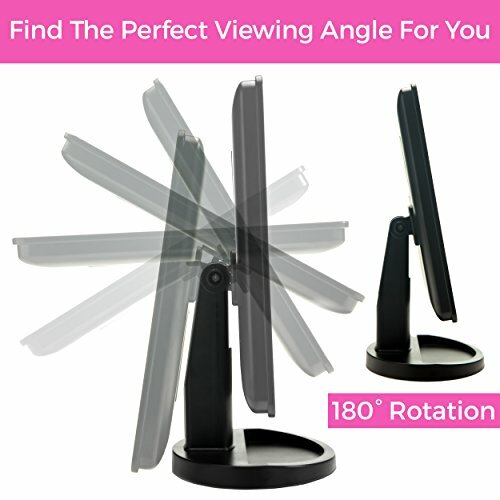 Featuring 180° of swivel vertical rotation connecting the mirror to the base! 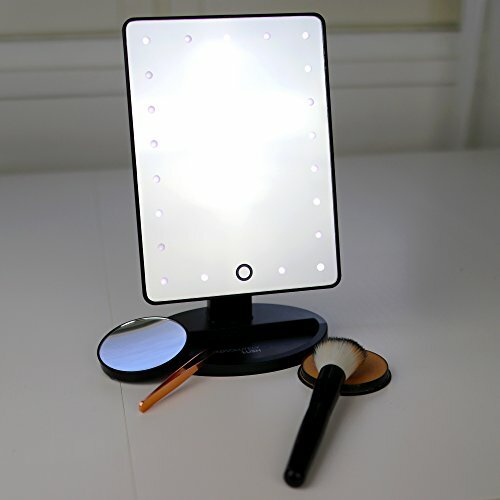 The Absolutely Lush Dimmable LED Lighted Makeup Mirror features a Detachable 10X Magnification Spot Mirror featuring rear-mounted suction cups that mounts easily to the mirror or any other smooth, flat surface for your added convenience! 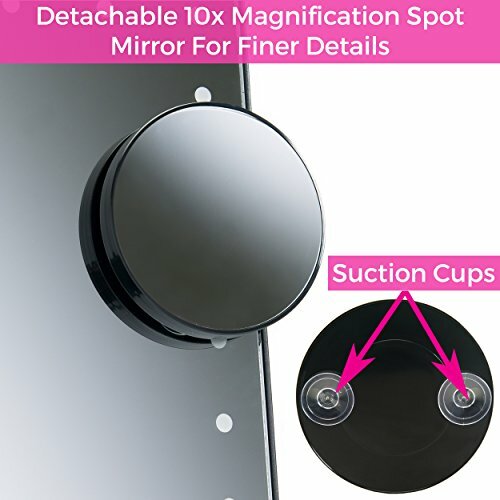 If you’re not 100% satisfied with your Absolutely Lush Lighted Makeup Mirror, contact us for a full refund or replacement within 30 days of purchase. 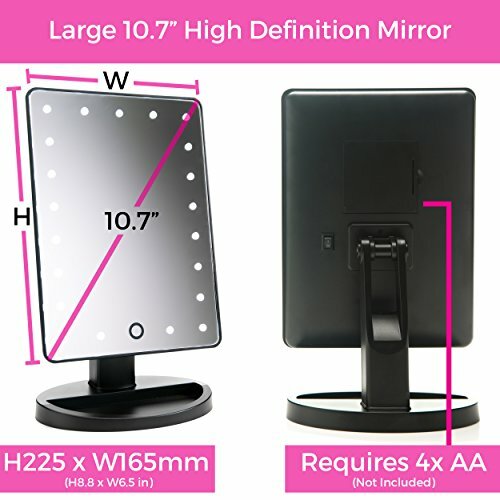 Every Absolutely Makeup Mirror is covered by our popular 12-month warranty too! 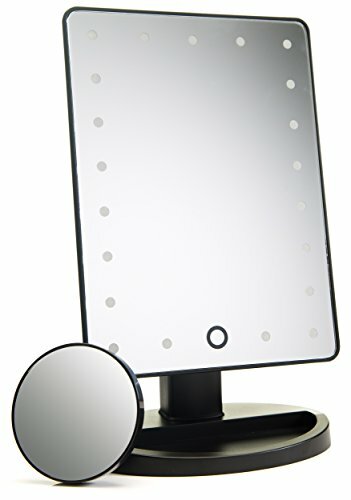 NO BLEMISHES – If you’re not 100% satisfied with your Absolutely Lush Make Up Mirror With Lights, simply contact us for a full refund or replacement within 30 days of purchase. Every Absolutely Lush Lighted Mirror is also covered by our popular 12-month warranty.